The 2019 Mazda CX-3 gives you several reasons to drive it home from the dealership. Not only does this subcompact crossover offer great handling, but it's also very good on gas. Meanwhile, some people will be immediately drawn to the CX-3's suave styling. While the new CX-3 ranks among the class leaders in several categories, it's far from perfect. Let's take a closer look at the CX-3's pros and cons. To help keep the SUV's appearance fresh and exciting, Mazda opted to update its exterior styling. Also, the engine was tweaked to deliver a more efficient performance. Most importantly, even the base Sport trim now comes standard with several advanced safety features. 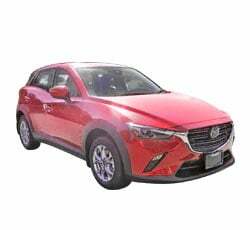 Like last year's model, the new 2019 Mazda CX-3 comes equipped with a small four-cylinder engine. However, it now delivers a smoother overall performance. Although the Mazda CX-3's 148-horsepower output may not seem like much, you'll have no trouble outgunning the competition. Expect it to hit 60 mph in around 8.2 seconds. This time makes the CX-3 noticeably quicker than the 2019 Toyota CH-R and the Subaru Crosstrek. If you prefer a sporty driving experience, the 2019 Mazda CX-3 is destined to spark your interest. Folks love the CX-3's natural steering feel. When driving the new CX-3, you'll always feel in total command. Mazda did an exceptional job of tuning the CX-3's suspension. Although the suspension is very sporty, it still manages to smoothly soak rough pavement. Drivers who live in urban areas will appreciate the CX-3's condensed size. You'll have no trouble maneuvering the CX-3 in and out of snug parking spots. To enhance outward visibility, Mazda designed it with large side mirrors. This crossover is also far better on gas than most SUVs. Mazda's SkyActiv technology helps the CX-3 to return a splendid 29 mpg in town. Opting for all-wheel drive only slightly lowers this number. Drivers who want to keep some extra money in the bank should consider the base Sport trim. It starts at less than $22,000. This is a super deal for such a fun and efficient crossover. Unlike some base models, the stylish CX-3 Sport does not have a Plain Jane appearance. Some of the value-packed standard features include a Mazda Connect touch-screen infotainment system, Bluetooth streaming, and two USB ports. Advanced safety technologies add to the CX-3's value. When test driving the 2019 Mazda CX-3, you'll instantly notice the interior's outstanding build quality. From the digital speedometer to the center console, everything has a premium feel. While the standard cloth upholstery is stylish, full leather upholstery gives the range-topping Grand Touring trim a plush appearance. You can also expect the new CX-3 to provide great seat comfort. Front legroom is impressive for such a small SUV. The 2019 Mazda CX-3 isn't an ugly duckling. It's actually among the most gorgeous SUVs in the segment. A long hood and athletic body give the CX-3 a very sporty profile. Even the base model comes outfitted with a rear spoiler and twin exhaust tips. Featuring LED exterior lightning, the Grand Touring model definitely has a strong road presence. Mazda also offers lustrous paint finishes such as Soul Red Crystal Metallic and Deep Crystal Blue Mica. Drivers will value the CX-3's Mazda Connect infotainment system. It's designed with a multi-function dial control, which helps you to stay focused on the task of driving. 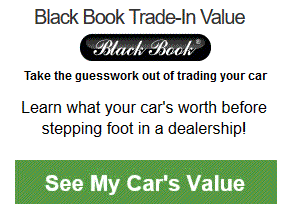 Often times, this feature is only found on luxury vehicles that demand a lot more money. An eye-level display also helps drivers to stay focused. Although Apple CarPlay and Android Auto don't come with Mazda Connect, you can link your smartphone via Bluetooth. There are some nice upgrades available for the 2019 Mazda CX-3. In contrast to the lower trims, the top-of-the-line Grand Touring model comes standard with a Bose surround sound system. You'll be able to feel the enhanced bass response. Drivers will also enjoy the Mazda CX-3's heads-up driving display. Critical information, such as vehicle speed and navigation directions, will be put directly in your line of sight. A traffic sign reader is available as well. The 2019 Mazda CX-3 now comes standard with more safety features. Designed with radar technology, Mazda's Smart City Brake Support system will make traveling in highly populated areas a lot safer. Meanwhile, advanced blind-spot monitoring chimes to warn you of an oncoming vehicle in the next lane. Rear cross-traffic alert is also found on every new 2019 Mazda CX-3. If you desire full-speed automatic braking and lane departure alert, step up to the Grand Touring model. Front-wheel drive suits the needs of most drivers. However, Mazda's optional i-ACTIV AWD system will make driving in wet weather less stressful. This smart AWD system constantly monitors the road conditions. When bad weather is detected, i-ACTIV will seamlessly adjust the SUV's power delivery to promote better traction. There's no overlooking the CX-3's small dimensions. While parents will have no issues driving around their young kids, taller passengers will likely desire more legroom in the back. The CX-3 also provides less cargo space than some sedans. If you desire class-leading passenger room and more space for your extra stuff, take a serious look at the 2019 Honda HR-V. The 2019 Mazda CX-3 has an outstanding automatic transmission. While paddle shifters are found on the Grand Touring model, there is no substitute for a true manual transmission. In the eyes of some drivers, the availability of a stick would further elevate the CX-3's entertaining performance. Drivers who are still in love with manual transmissions should considered the 2019 Jeep Compass. Mazda's i-ACTIV AWD system certainly performs well during challenging weather conditions. Unfortunately, this crossover is engineered mostly for street use. 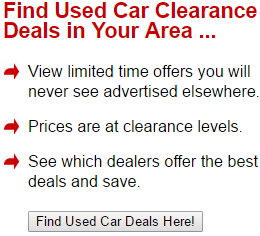 It does not offer off-road goodies such as steel skid plates and low-range gearing. The 2019 Jeep Compass Trailhawk is arguably the toughest crossover in the segment. Off-road suspension tuning and a locking rear differential help the Compass Trailhawk to dominate rough terrain. A below-average predicted reliability rating is one of the Mazda CX-3's main drawbacks. Rivals, such as the 2019 Buick Encore and the 2019 Toyota CH-R, have a far higher predicted reliability rating. 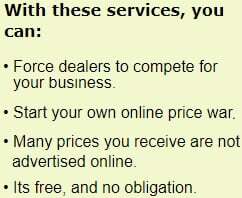 This means you won't spend as much money on repairs in the long run. Mazda's powertrain coverage runs out after 60,000 miles. Don't expect the CX-3's engine to deliver a whisper-quiet performance. During heavy acceleration, the engine can be a bit loud. How It Stacks Up to the Competition? The 2019 Honda HR-V is among the Mazda CX-3's chief competitors. While the Honda HR-V is roomier, you will have more fun driving the new CX-3. There's no denying the CX-3's more entertaining performance. Some folks will also be looking at the 2019 Toyota CH-R. Slow acceleration certainly takes away from the Toyota CH-R's fun factor. However, some drivers will ultimately be won over by the CH-R's bulletproof reliability. Adventure seeks should check out the 2019 Jeep Compass Trailhawk. It's a skilled off-road performer that has no trouble toppling rough landscapes. There are a number of qualities that help the 2019 Mazda CX-3 to surpass the competition. When it comes to driving dynamics, the new CX-3 is especially hard to beat. It's responsive, nimble, and easy on gas. Drivers also like this crossover's stunning exterior design. By making blind-spot monitoring and Smart City Brake Support standard, Mazda has elevated the CX-3's appeal. While the 2019 Mazda CX-3 has a lot going for it, there are a few weak areas as well. Growing families will find the new CX-3 to be a rather tight fit. Furthermore, it's long-term reliability is questionable.